Scott Kimberly recently received advanced level training, from the American Association of Premier DUI Attorneys, on how to use fatigue and drowsiness to fight DUI cases. Scott received training on the how drivers arrested and prosecuted for being under the influence of alcohol and/or CNS Depressants can easily be misdiagnosed and wrongfully arrested for DUI when they were simply fatigued or drowsy at the time of the incident. The information in this training was provided by Adam Pollack. Mr. Pollack is an AAPDA Executive Member of the Association. Mr. Pollack’s office is located in Orlando, FL and his website is http://orl-law.com/. 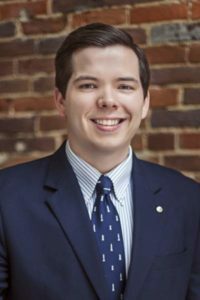 Scott Kimberly is a criminal defense attorney with Brandon & Kimberly in Murfreesboro, Tennessee. Scott has handled dozens of DUI Defense cases in his years of practice and believes in the power of continued training. Scott lives in Murfreesboro with his wife, Allison, his son, Henry, and his mutt, Archer. Scott and Allison are expecting their second child in July 2015. ​You can reach Scott at scott@murfreesborolawyer.com.